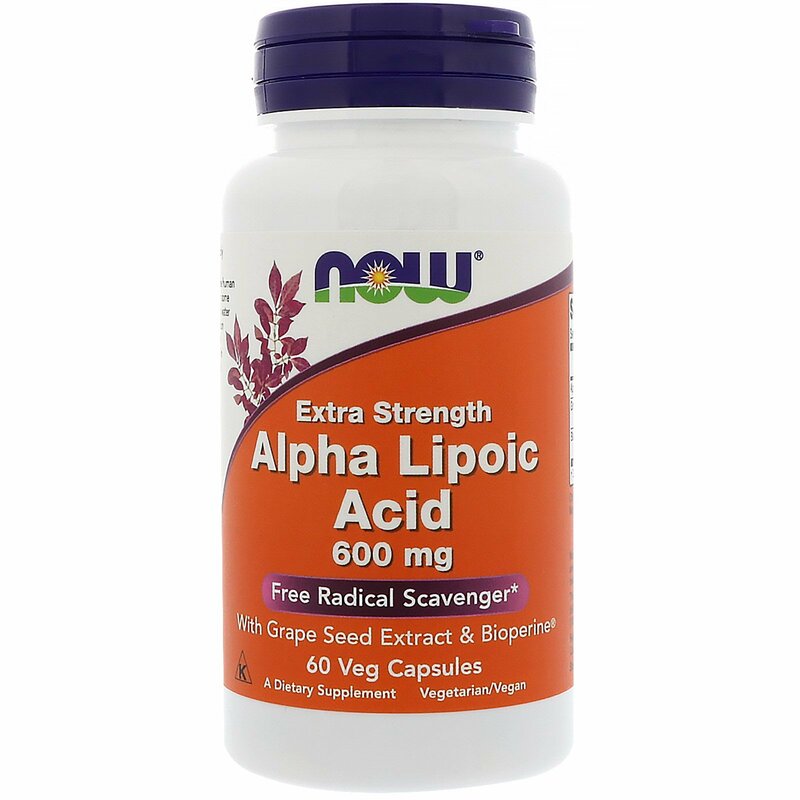 Alpha Lipoic Acid (ALA) is naturally produced in the human body in very small amounts, but is also available in some foods. ALA is unique in that it can function in both water and fat environments. 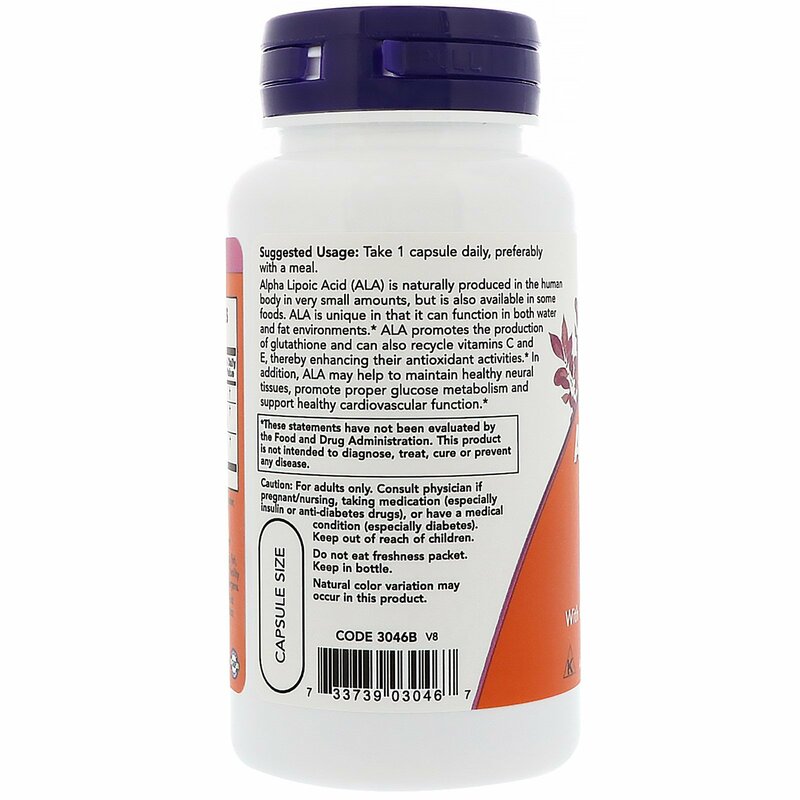 ALA promotes the production of glutathione and can also recycle vitamins C and E, thereby enhancing their antioxidant activities. 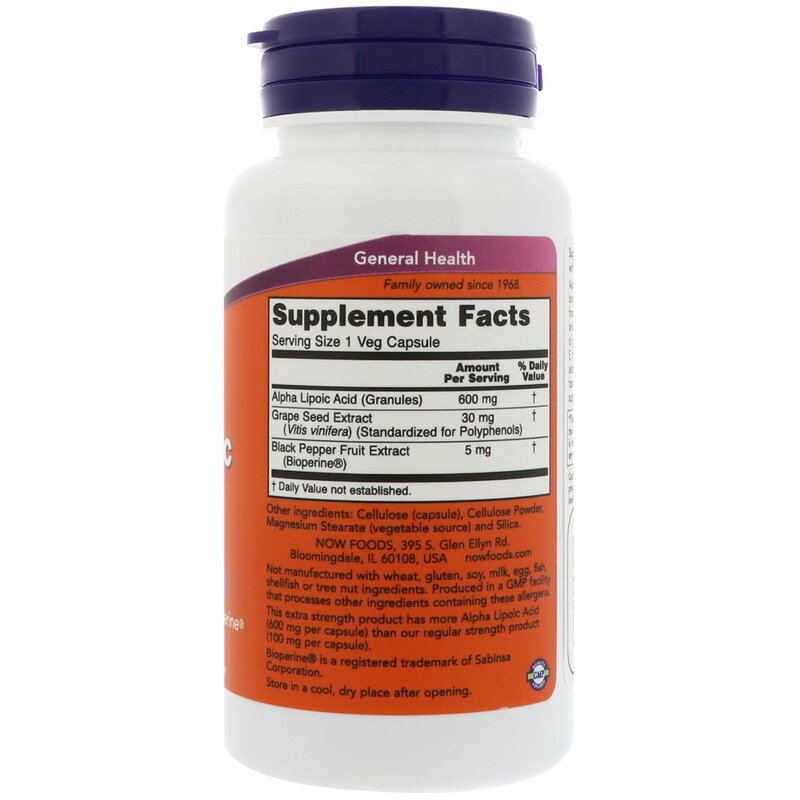 In addition, ALA may help to maintain healthy neural tissues, promote proper glucose metabolism and support healthy cardiovascular function. This extra strength product has more Alpha Lipoic Acid (600 mg per capsule) than our regular strength product (100 mg per capsule). Caution: For adults only. Consult physician if pregnant/nursing, taking medication (especially insulin or anti-diabetes drugs), or have a medical condition (especially diabetes). Keep out of reach of children.